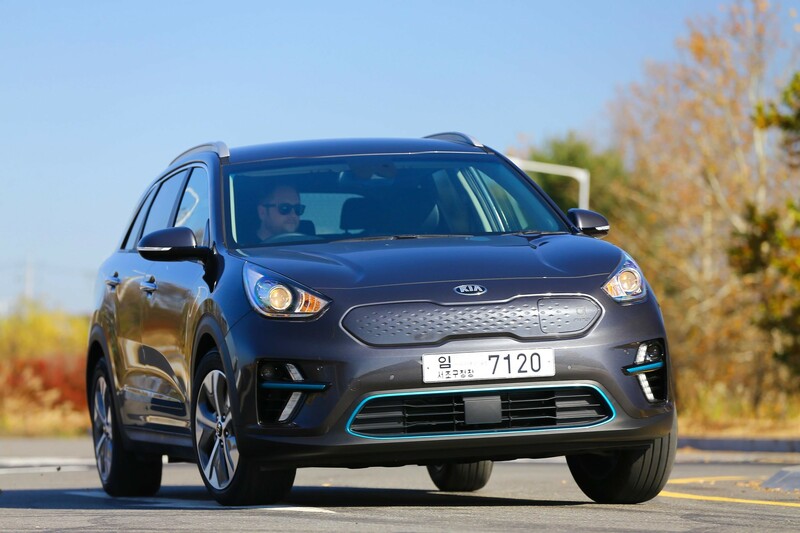 "It’s broadly similar to the Niro that exists as a hybrid and PHEV but, externally at least, differentiates itself with a sleek panel where the grille would usually be, and some distinct lights and wheels." 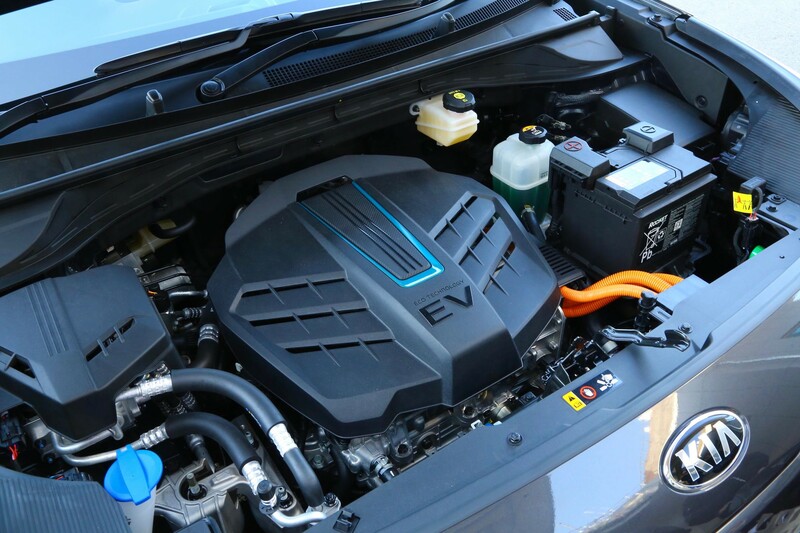 Range anxiety – fear of running out of electricity at an inopportune moment – still haunts those wedded to their petrol - and diesel-powered cars. Given the early cars of the electric revolution struggled to reach 100 miles before needing to be plugged in, it’s easy to see where this fear came from. There was surprisingly little progress, outside the luxury end of the market dominated by Tesla, until the Hyundai Kona turned up with its 279-mile (WLTP) range and rapid charging capability. 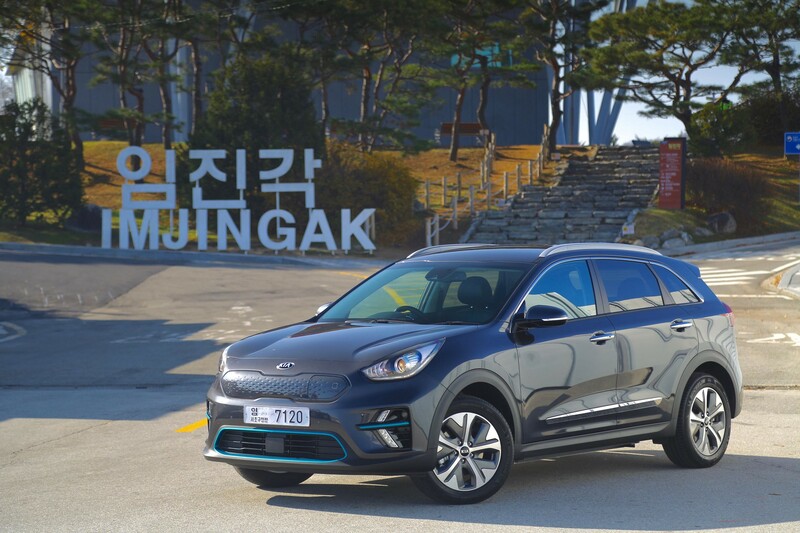 Now sister firm Kia has launched the e-Niro, a car that shares the same drivetrain and battery packs, but sidesteps the SUV trend for something altogether more practical. 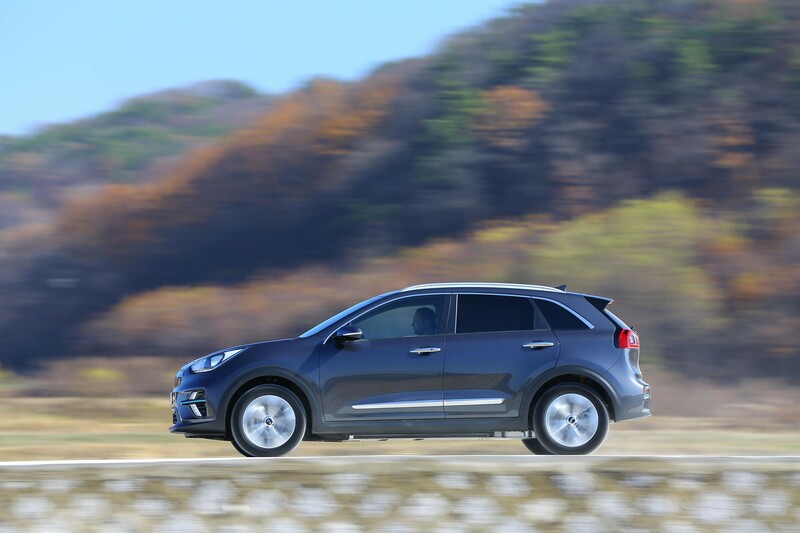 It’s broadly similar to the Niro that exists as a hybrid and PHEV but, externally at least, differentiates itself with a sleek panel where the grille would usually be, and some distinct lights and wheels. 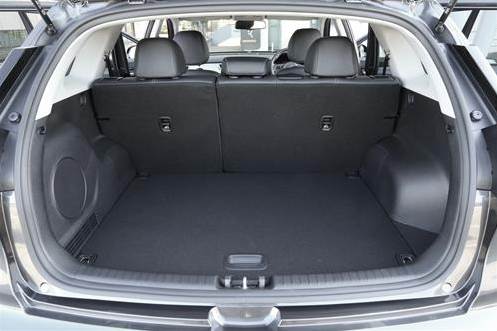 The interior features a new centre stack with extra storage. That’s thanks to the lack of gear lever as, with no gearbox to operate, the e-Niro only requires a button press to select drive, reverse or neutral. The instrument binnacle has been filled with an LCD screen rather than traditional dials, lending a suitably high-tech ambience to the cabin. 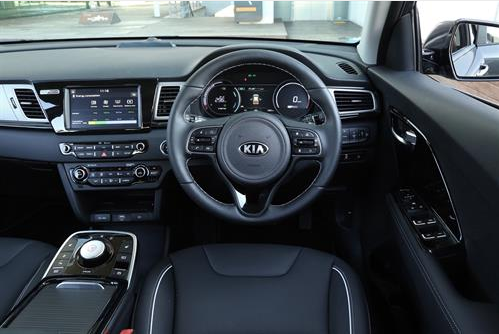 There’s a seemingly endless roster of equipment, with heated leather seats and steering wheel (these use less energy than heating the cabin) and climate control, adaptive cruise control, an eight-inch touchscreen infotainment system with digital radio, Bluetooth, sat-nav and both Android Auto and Apple CarPlay, all pumping out sounds through a JBL audio system. There’s also a wireless charging pad and fast-charge USB socket. It’s the electric drivetrain that is the talking point though, and that’s lifted wholesale from the Kona Electric. That means there’s a 64kWh battery hidden under the floor, and an electric motor that provides 204PS of power driving the front wheels. 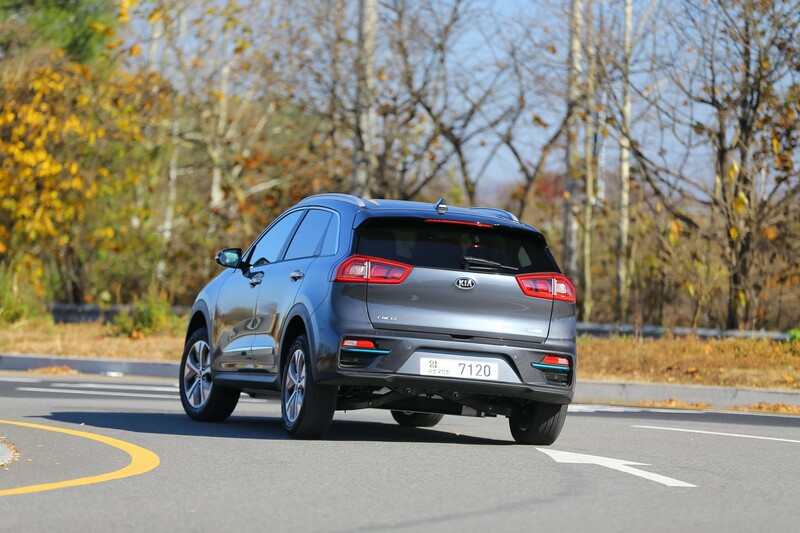 Interestingly, while Hyundai also offers a lower range 39kWh battery option, Kia is adamant that the increased range is essential to customers, so will be sticking with just the larger capacity unit in the UK. Officially, it can cover a maximum range of 282 miles (WLTP) giving it a slight advantage over the Kona. 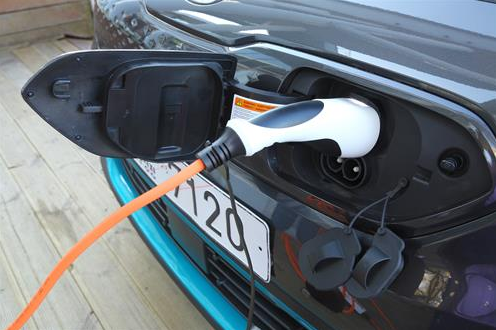 Our experience suggests a real-world range of around 240-250 miles should be feasible. Having an electric motor translates to invigorating performance, with the e-Niro sprinting to 62mph in just 7.5 seconds. The chassis is definitely set up to be safe and predictable, offering little engagement but ultimately plenty of grip. It rides quite well too, although doesn’t soak up every imperfection. It’s capable in that respect, but not class leading. Running costs could be, though. Zero emissions means a low benefit-in-kind burden, and energy costs are likely to hover around the 3p per mile mark, while it’ll avoid any city-centre tariffs such as the London Congestion Charge. Add in reduced servicing costs and a seven-year warranty, and the e-Niro could be among the cheapest company cars to run. CO2 emissions and fuel consumption data correct at time of writing. The latest figures are available in the Fleet News fuel cost calculator and the company car tax calculator. As a full-time motoring writer Phil has driven everything from a prototype hydrogen-powered car valued at £6.5 million and a priceless 1958 Chevrolet Impala to the cheapest Dacia Sandero and most expensive Rolls-Royce Phantom. Kia's Stinger is among its most impressive feats to date. With eye-catching looks and well-honed underpinnings, it really is a true alternative to the usual premium saloons. Eye-catching looks, true Range Rover luxury and RDE2 engines, mean Evoque's success story looks set to continue for some time yet. Why does every motor manufacturer insist that all their customers have to hike 5 seats around when a large proportion of them have been driving solo for years, there must be a huge proportion of motorists who would love a smaller (cheaper!!) EV, I know I would.